LoppianoLab opens tomorrow. Four days of appointments about a business model aimed at the "good life"
"Today, there are too many ideologies. Many want to divide the world into two groups: those who adore capitalism and those who hate it. And, instead, there are other roads to take." This is how Luigino Bruni began to explain the meaning of the first LoppianoLab, four days of events (it begins tomorrow and finishes September 19) that will make the Tuscan city, founded by Chiara Lubich and cradle of the Focolare Movement, the center of debate on a different approach to the economy, culture and formation. The other road of which Bruni - professor of political economy at the University of Milano-Bicocca - speaks is the Economy of Communion, arisen from an inspiration that Lubich had when she saw the disarming poverty of the Brazilian favelas in '91. Almost twenty years have passed since then, and the Economy of Communion has become an important reality lived today by about a thousand businesses throughout the world. "The basic principle that businesses of the Economy of Communion live is that the profits of the economic activity are not something bad. Rather, they find meaning in being placed in communion." The rule is that two-thirds of a business's profits are invested into programs that fight against poverty, offer formation and develop the business. "There are those who would want a non-profit economy and consider the market as something bad, always and everywhere," explained Bruni. "Instead, they invest their income in a good way. Doing business is one of the ways to do good." The Economy of Communion inserts itself into the furrow of social economy. Bruni speaks of "charismatic" economy, which vaunts a thousand year old tradition with activities linked to the Benedictine, Franciscan and Salesian charisms ("Don Bosco created the first apprenticeship contract," explained Bruni). "Doing business is a kind of economic activity based on a spiritual dimension," he noted. This is still winning. With the crisis, the businesses of the Economy of Communion - around 1000 throughout the world - have not stopped growing. "Certainly, some have suffered. But we have registered numerous increases in profits. This shows," explained Bruni, "that these businesses have stronger roots than traditional businesses do. They are businesses built not so much on financial markets or aggressive industrial projects but on relationships, on people. When the foundations are solid like these, then it is easier to resist the earthquakes of the economy." These are the businesses that are meeting at Loppiano, finding their main meeting point at the Lionello Bonfanti business park. Together with the many who are interested in this "different" economic model are above all the cultural centers of the Focolare movement: the young Sophia University Institute and Cittá Nuova Editorial Group. People go to LoppianoLab mostly to network. "We want to put together these recent realities like the University and the industrial park and to develop the network among businesses with their territories. The Economy of Communion is growing, but more can be done: collaborating, putting experiences together, and making contacts on the local level." 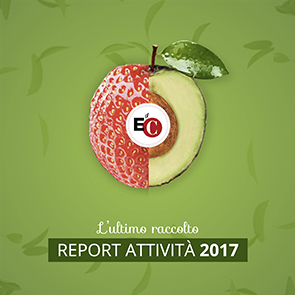 The event is divided into four parts: the convention of EoC businesses, the Expo in which these businesses will present themselves, the annual meeting of Cittá Nuova Editorial Group, and the convention "Which kind of country, which kind of unity? Innovating in the economy, formation and culture."